Over the last years we have developed our frozen fish business and have become an experienced and strong partner for our customers. Due to our flexible frozen transport logistics, we can serve customers, large and small, regardless of quantity. We are a leading supplier in Germany for frozen smoked and gravad salmon. Our private label – Scottish Import Premium – guarantees a high standard product, reliable in quality and availability. We manage and supervise the complete production and processing of our frozen smoked and gravad salmon. Looking for a private label product? For our corporate clients we offer this service, creating and developing a private label and product specifications to suit. 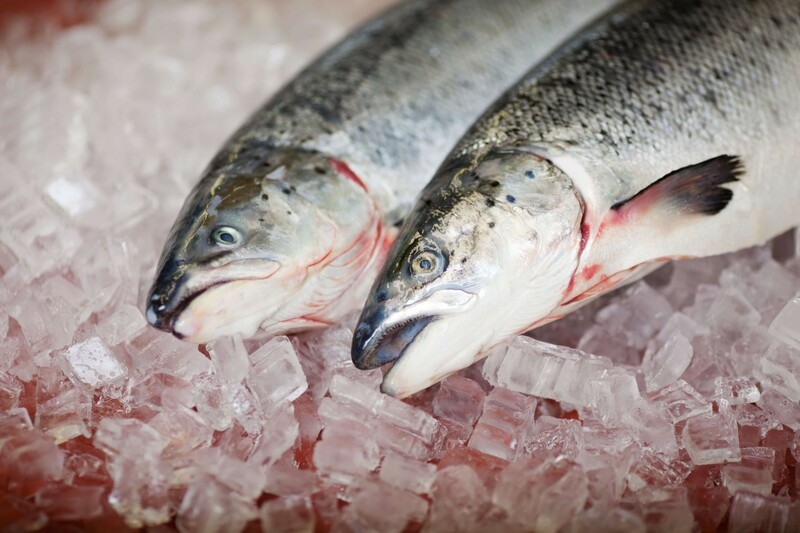 Other frozen products on offer to our customers include a selection of salmon products, including fillets and portions, halibut fillets, ocean perch, pike perch and prawns. We have a variety of these products in stock, however due to our supplier network, we can react quickly and efficiently should you have any exceptional requirements!